Home. Kids. Life. 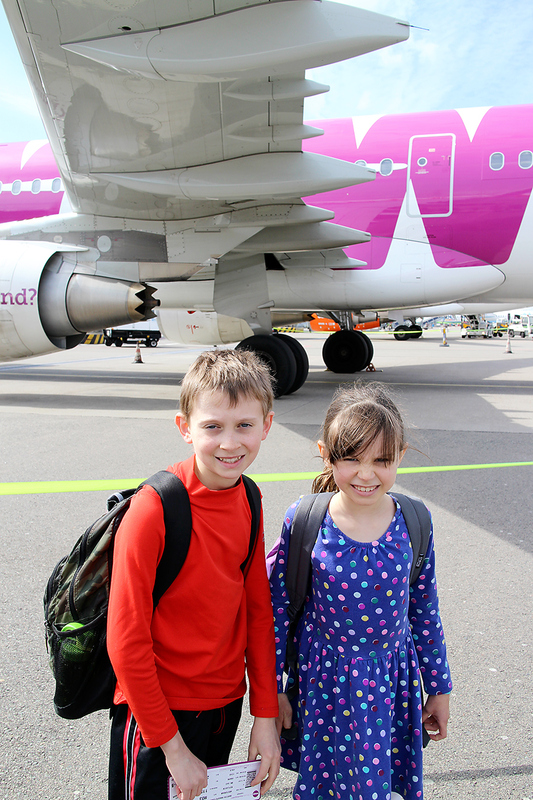 : WOW Airlines Review: Flying a Family of Four to Europe for $1900. 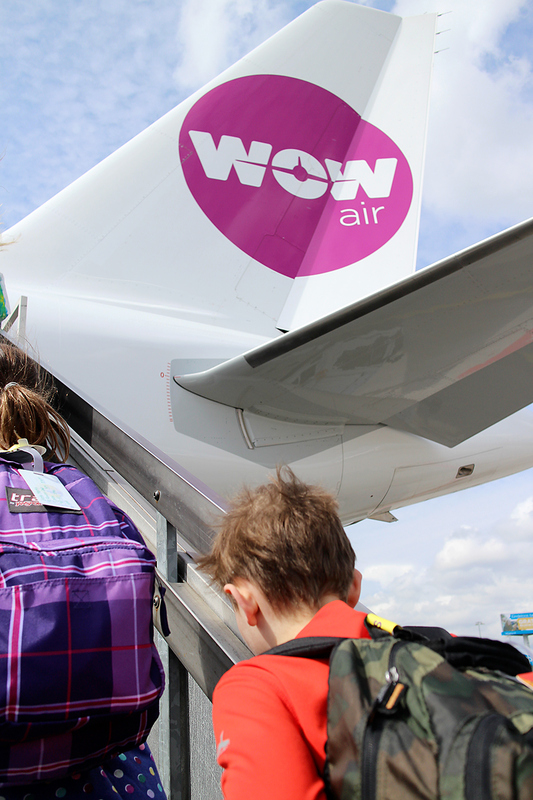 WOW Airlines Review: Flying a Family of Four to Europe for $1900. 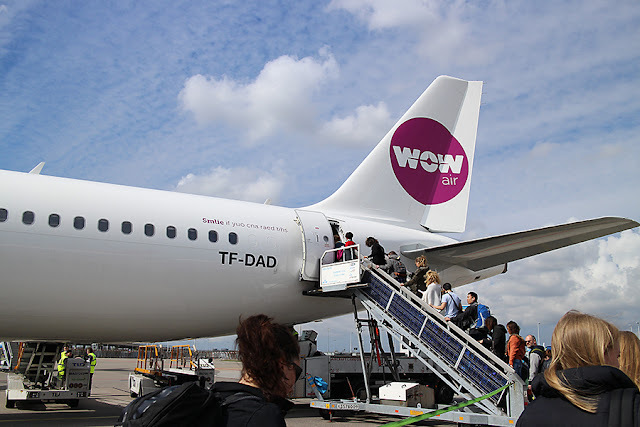 Have you ever heard of WOW Airlines? I hadn't until January of 2016 when I saw on Groupon that you could fly to Europe for $99. Yep, that caught my attention. I have a sister that lives in Europe, so I clicked on the deal. WOW Airlines was offering $99 flights to Iceland and $129 flights to Amsterdam. Hold the phone! That's cheaper than flying to Florida to visit my parents. So I'm thinking this deal is a little too good to be true. I messaged my sister and starting looking for reviews of WOW Airlines to make sure they were legit. 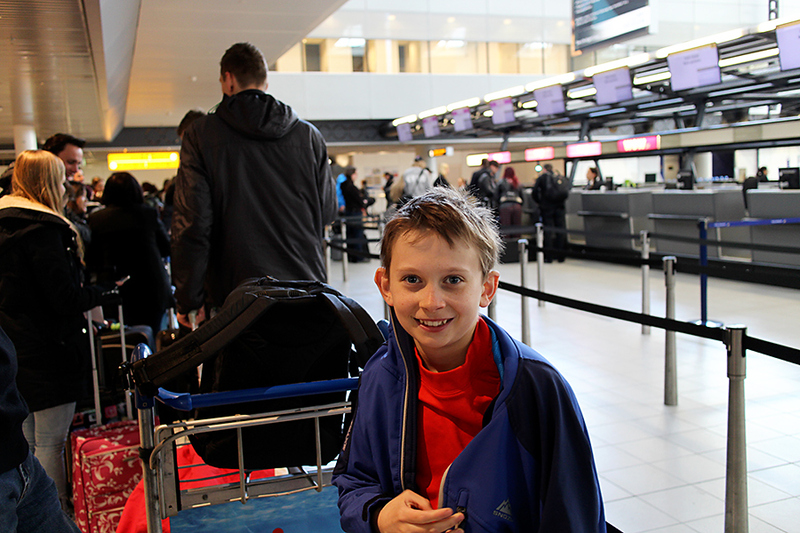 We contemplated a trip to Iceland, but then decided to go to Amsterdam so my kids could see where their cousins live. That's when I got to booking my flights. I bought tickets in January of 2106 for a trip to Amsterdam in April 2016. At the time I booked, the deals were only for flying out of Boston. (Now they fly out of a few more places.) I live in the Southwest. So, flying out of Boston would mean adding on the cost of flying to Boston from our home. BUT....last October the kids and I took a bump on a full flight on Southwest. They couldn't fly us out until the next day, so they reimbursed us the money for our flight plus gave us some extra flight credits. With those credits, I was able to fly our family to and from Boston for FREE and still have some credits for another time! 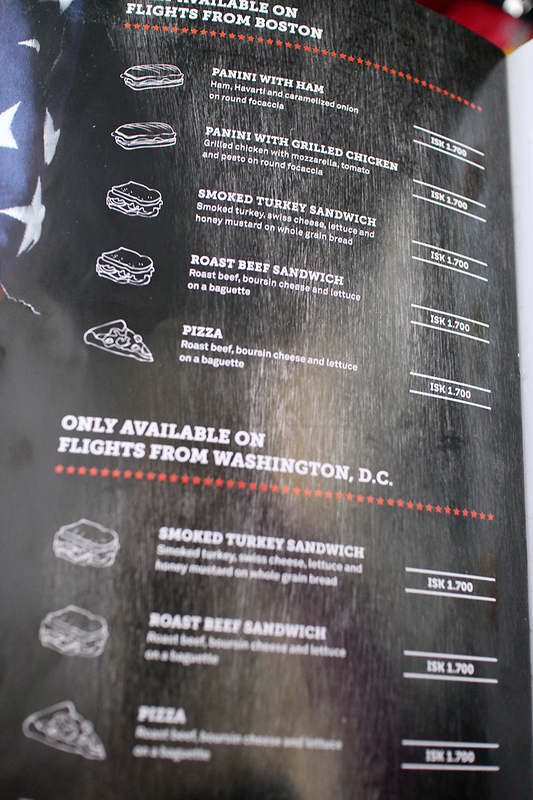 So that meant we just had to fork over the bucks to fly to Europe. It helped that we had a free place to stay in Amsterdam! I never thought it would be possible for all four of us to go at the same time. I went in 2012 to Amsterdam and paid nearly $1200 for a full-service flight. Full-service meaning I got food, warm towels, drinks, and in-flight entertainment. Plus, I had my mommy and daddy with me. WOW is a budget airline...you pay for what you get. I'll get to that. Everyone asks if we were Wowed by WOW. Um...tough question. We were Wowed by the price! Everything else is just what we expected it to be. You get what you pay for. It's pretty much like a Southwest flight, minus the snacks/drinks and the funny banter of the flight attendants. 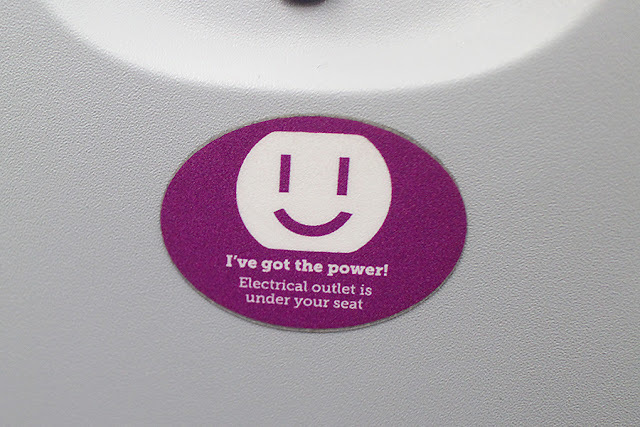 There are entertaining signs on the plane. Oh, and the planes are purple. Yep, purple! Plus, you get to walk outside to get on the planes. The flight attendants and pilots speak in Icelandic and English on the plane. The planes have a very similar set-up to a Southwest plane with an aisle and three seats on each side. But you do get assigned seats, that's one step above Southwest. It's nice to have assigned seats with a family. We've been on Southwest flights where we've all been separated before. My oldest child once had to sit by himself with another mom and kid. Fist pumps to moms who let other kids sit next to them! You pay for every single thing on WOW. Let me break down for you how a $129 flight from Boston to Amsterdam can add up to $1900 for four people. WOW Airline is based out of Iceland. So that means all flights go into Iceland. We booked a flight from Boston to Iceland and then from Iceland to Amsterdam. First, you pay for the one-way flight from Boston to Amsterdam. Somehow that was $119 for the kids and $117 for the adults. Double that because you want to get home. Our one-way back home was a little more. $129 for the kids and $128 for us. Who knew it was cheaper to be an adult?! Okay, you knew there would be taxes. There are always flight taxes. Plus customs fees, security taxes, user fees, passenger charges for different countries, and bunches of other costs that aren't advertised in the $129 fee to Europe! That's nearly $120 in added fees per person, per flight. Then you have to pay for what type of seat you want. Yes, you're paying $129 for a ticket, but you also have to pay for what seat you want. If you want to choose your seat, you will pay. 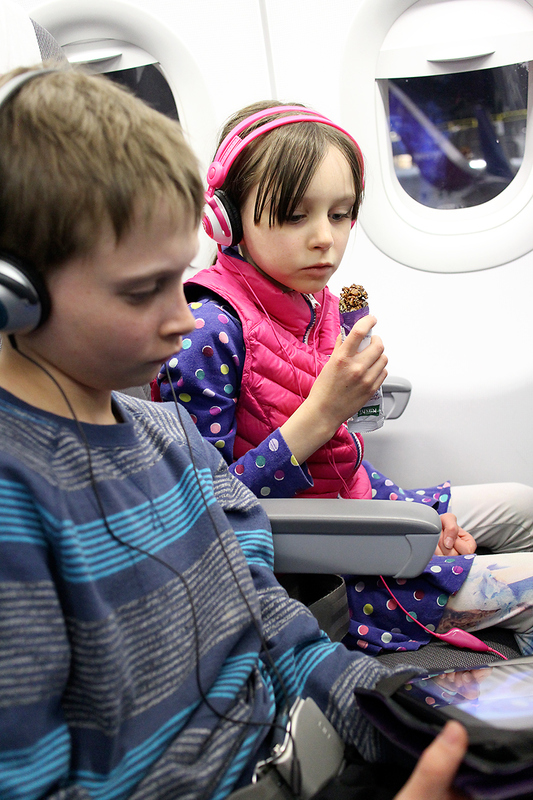 I wanted to make sure the kids and I were together and that my husband had the room he prefers on flights. (He flies business to China sometimes and enjoys the extra room on long flights since he has long legs.) All the flights we were on were full, so I'm glad I chose seats ahead of time. The kids and I paid $6 for the cheapest seats, the small coach seats. That's $72 total for the three of us, because we took 4 flights on WOW. My husband is 6 feet tall, so I forked over extra bucks for him to have an XXL seat on the 5 hour flight from Boston to Iceland. That was $67 extra for each XXL seat. It's pretty much an exit row seat with extra leg room. I think he thought it was worth it (except for our flight home, which I'll get to). He got the cheap $6 seats for the 3 hour flight to and from Amsterdam and Iceland. We also paid to have two pieces of luggage shipped on the plane. That was $67 a bag for each flight. And each bag can only be 44 pounds or you'll pay more. You'll also pay more if you don't prepay for the shipped bags. We managed to pack a family of four in two 44lb bags just fine. You also get one carry on that can't be over 11 pounds. ONE carry on. That doesn't mean a purse and a carry on. That doesn't mean a laptop bag and a backpack. You get one. Everything must fit in that ONE bag. I put a small purse in my backpack and my family all carried backpacks. We had no trouble staying under the 11lbs, you will pay if you go over. We just all wore our jackets as we checked in the bags. The total price we paid was $1,878.00. That breaks down to $469.50 for each person to fly to and from Europe. I didn't think that was too bad, especially considering we can pay that much to fly to Florida. It was worth it to us! Yes, it could have been cheaper if we took only 1 bag and if we didn't pick seats, but it was worth it to us. I booked all our tickets online and chose all our seats online, plus paid for our bags. It was a pain in the patootie. I don't know if it was the WOW server and website or if it was my connection, but I had the hardest time booking the tickets. I got all the way through with picking seats for everyone for the 4 flights and then got to the payment part and it showed I didn't have seats and I had to start all over and I got so frustrated. It took over an hour on the computer for me to get the tickets. You should be able to check your bookings online and add extras, such as bags, but I wasn't able to do that. Every time I would enter our flight info, it would say it couldn't find our booking. Then I would email WOW and customer service would help me. I emailed them quite a few times. My booking information never worked online. I had to enter passport information online, but it wouldn't let me. Customer service was kind enough to enter it for me. It kind of stunk that I couldn't do that all online and added extra time to my day, but it got done. So the computer end of things didn't rate high on my scale. I should mention that every WOW employee was very professional, kind, and helpful. So that's a plus. 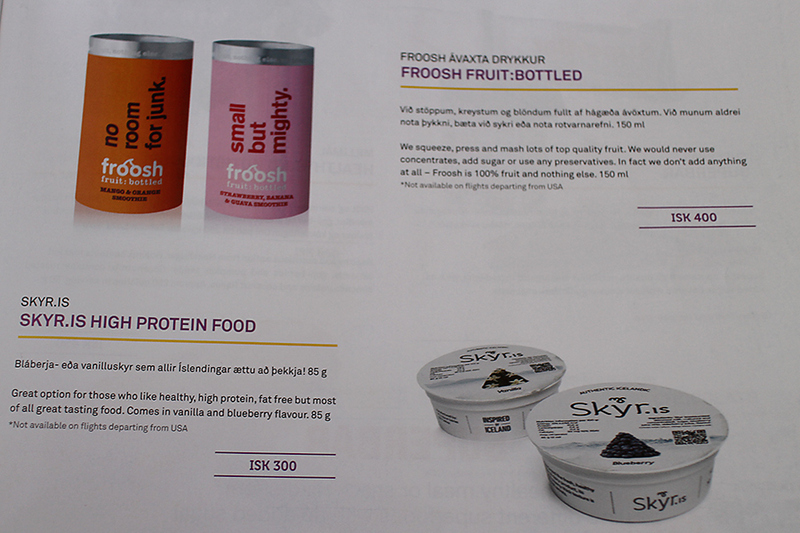 On the flight, there is no free in-flight entertainment and there are no free snack/drinks. It costs $17 to rent an ipad for the Boston/Iceland leg. We didn't do that. We brought our own tablet loaded with movies and a splitter so the kids could both watch it with their headphones. We also had books. The flights from the US to Europe have places to plug in your electronics and they work with a variety of plug types. I'll detail each flight soon, it gets interesting. Food also costs you a bunch. 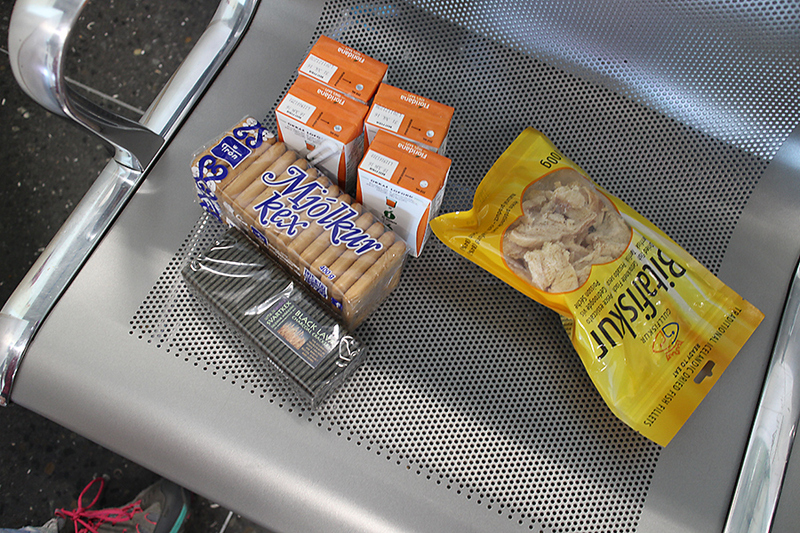 We had packed our own food, but there is a weight limit to each bag, so we could only pack so much. 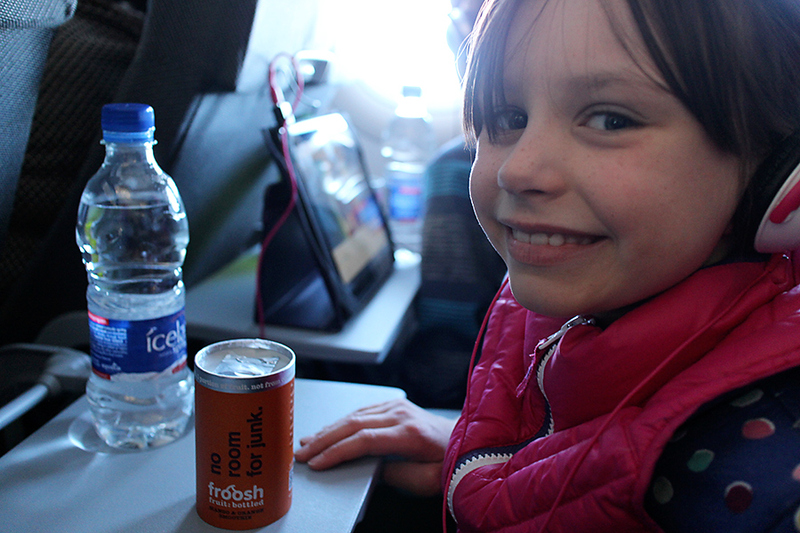 We did purchase 4 bottles of water and 4 juices on the flight from Iceland to Amsterdam because we didn't have time to fill up our water bottles between flights. That set us back nearly 30 in euros. We ate cheaper for that while in Amsterdam. 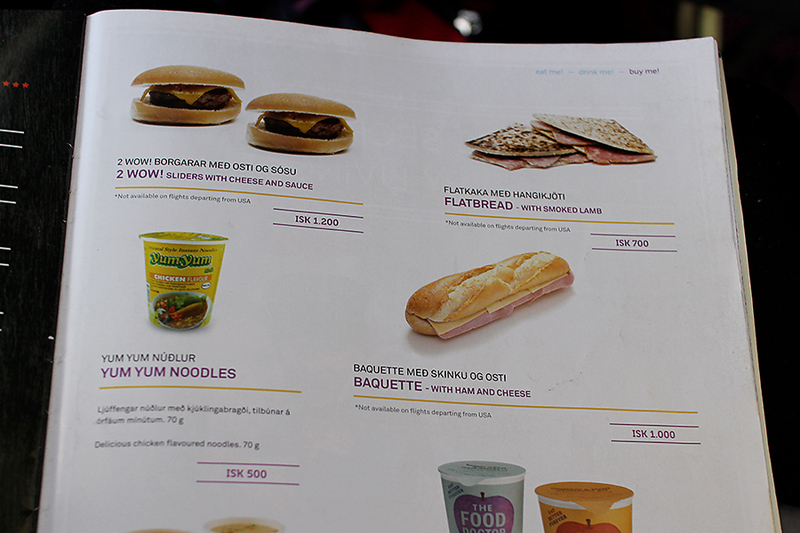 WOW does offer food on the flights and you'll pay for it. They accept credit cards, but only ones that can be used offline. I saw some people have their cards rejected because their bank wouldn't do offline charges. Then they paid with cash. We have a Southwest Visa with no foreign transactions fees and that worked fine. I read some reviews that WOW airlines is never on time. With that in mind, I didn't book our Southwest flights to and from Boston near our WOW times. We had a day in Boston on each end. That was a good thing, because none of our WOW flights were on time. All were late. I'm not kidding, each and every one was late. I'll detail each flight at the end of this super long blog post. Be sure to allow 2 or more hours at the airport. We were at the airport 2 hours ahead of our international flight times and that was barely enough for the check-in and security. The biggest problem I find with WOW is their check-in. We would wait in a huge line of people to check in because each and every bag needs to be weighed. It's fine that they have to weigh each bag, that's part of their policy. What is not fine is that groups of people/families have their bags weighed and they find that their bags are overweight, so they spend 15 minutes at the counter moving stuff around in their bags to get under the weigh limit without paying extra. The check-in agent sits there bored as the people move their bags around and pile clothes on themselves. I should have taken a video of it. Seriously, it's just like "The Middle" where the Heck family flies on a plane. Watch that episode. We pre-weighed all our bags, so we knew we were under limit and we all put our coats on, instead of having them in our carry on bags. They weigh your checked bags that are going under the plane and then send them off. They also weigh your ONE carry on and stick a tag on it if it passes. 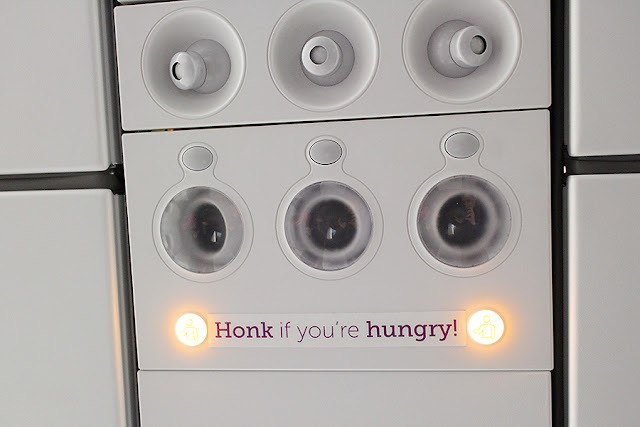 Then you can feel free to stuff things back in your carry on. I saw people throwing on sweatshirts from their checked luggage. I saw people moving things from bag to bag at the counter. Seriously, one family was up at the check in counter for 20 minutes moving stuff between their bags and reweighing them!! I saw people stuffing their tablets and laptops in their coats and shoving things in their pockets and even down their pants. It was ridiculous. My suggestion would be that WOW needs to put a scale before the check in line so that people can weigh their bags and adjust them before they get up to the check in counter. It was ridiculous how long some people took at the counter. WOW has a weight policy for a reason, be aware of it and follow it. Now, let me detail the interesting bits of each flight. Boston to Reykjavik, Iceland: This was over an hour late, but that just meant we could grab some dinner at the airport and fill up our water bottles after standing in line at the check-in. When it was time to board we got on buses according to our row numbers. 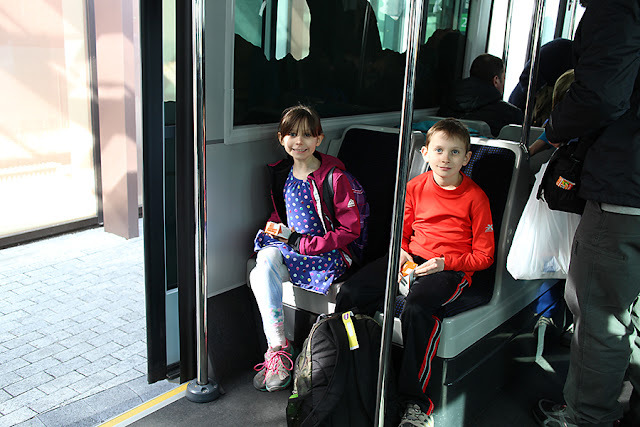 My husband ended up on the front of a bus and the kids and I at the back. They pack you in like sardines. The bus drove us on the tarmac to the plane. Then the bus had to back up because they didn't have stairs up to the doors of the plane. Minor detail, forgetting the stairs so passengers can get on. I think they expected us to fly up to the doors. So they backed up the bus to bring in a set of stairs. Then they discovered that the stairs didn't quite reach the door. My husband saw them bashing on the stairs with a hammer. We were texting back and forth as we sweated to death. We stood on that bus, outside of the plane, for over 20 minutes. It got really hot. 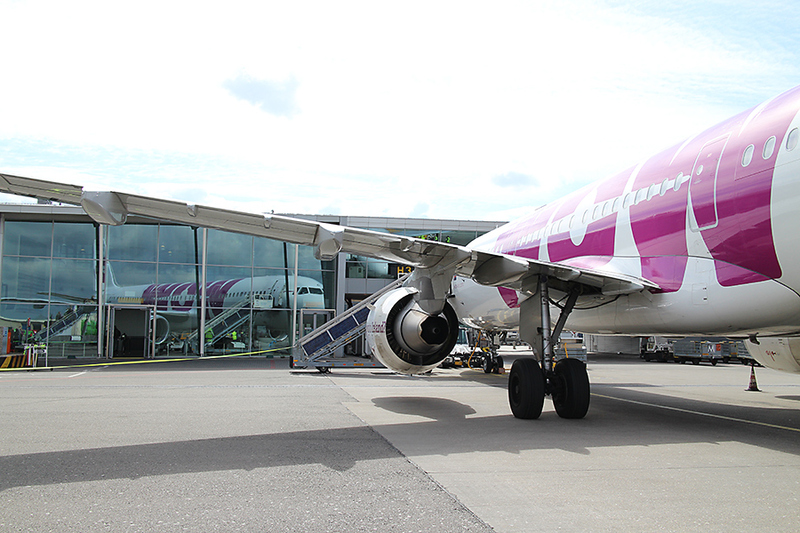 It was a relief when we were able to go up the one set of stairs and get on the plane. It was after 7pm when we boarded, so we just tried to sleep for the flight. My husband and girl were able to sleep, the boy and I weren't. The preferred method of sleeping was to put the tray table down and lay the head on that. My husband had an aisle seat in the exit row and found it comfortable. For reference, the kids and I were in coach seats in row 27, seats A,B, and C. He had row 24 and seat D. We flew an Airbus 321, which seemed nice and new. It had three restrooms in the back, which is nice when you have a kid that goes to the bathroom often. 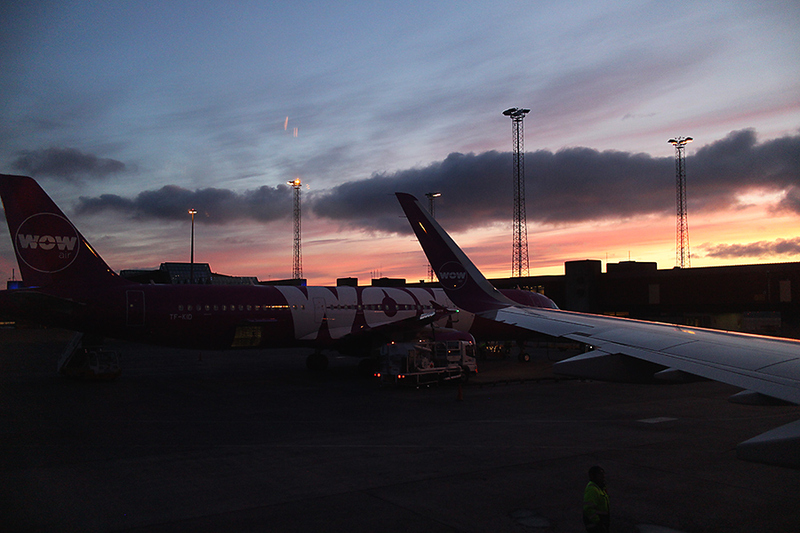 We were suppose to get to Iceland really early in the morning, but we got there late. We had to go through Customs in Iceland and that was a breeze. 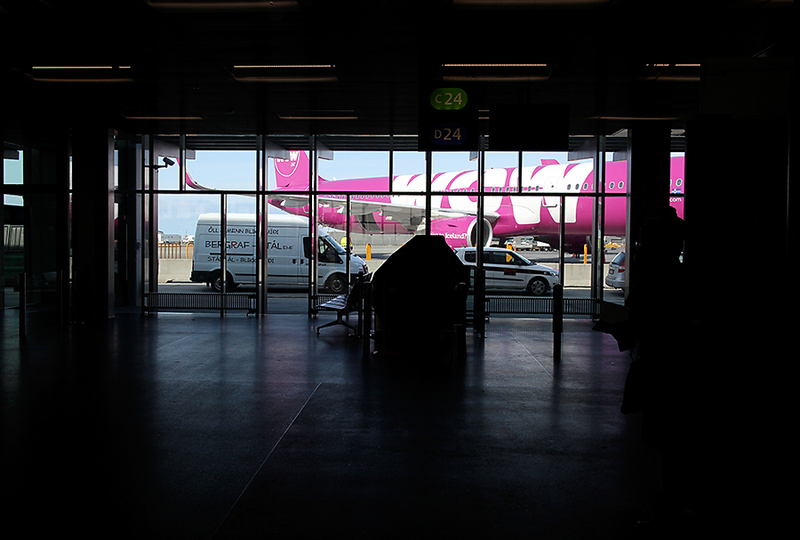 But rather than having a layover we had to board our next plane immediately. So no bathroom or drink break in Iceland for us. Reykjavik to Amsterdam, The Netherlands: This flight left a little bit late and we were bummed that we didn't get our layover time. 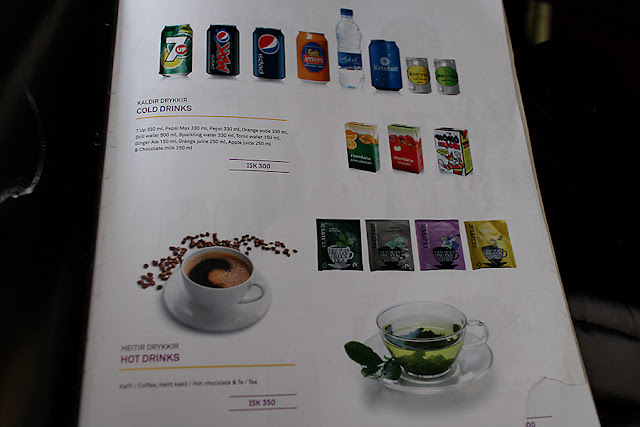 We used the bathrooms on the plane and ended up buying some drinks, as I mentioned. We were able to make up time in the air, so we didn't get into Amsterdam too late. We didn't have to go through Customs in Amsterdam, so it was a breeze there. The plane was identical to the one we had from Boston and we all sat in the back of the plane. 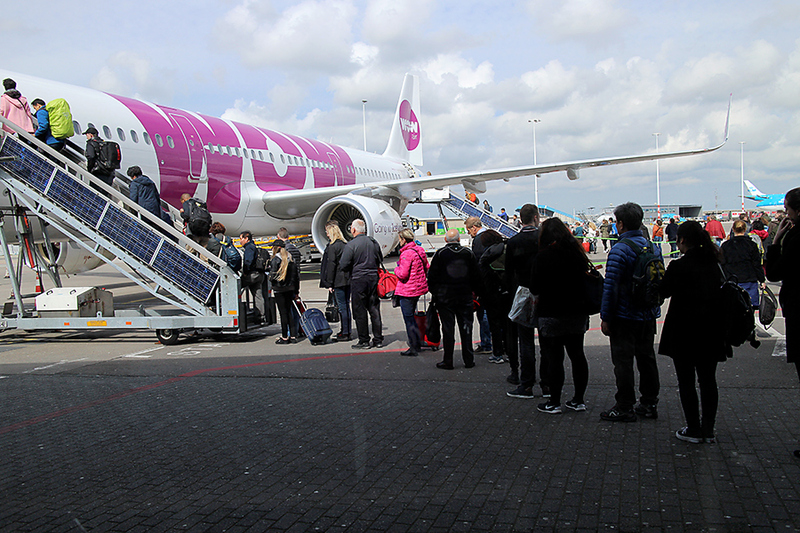 My husband had an aisle seat across from the kids and I.
Amsterdam to Reykjavik: Horrible, horrible lines at check-in. Again, the plane was running late. We were able to buy some sandwich items at the grocery store in the airport and stuff these in our carry ons (after they were already weighed). 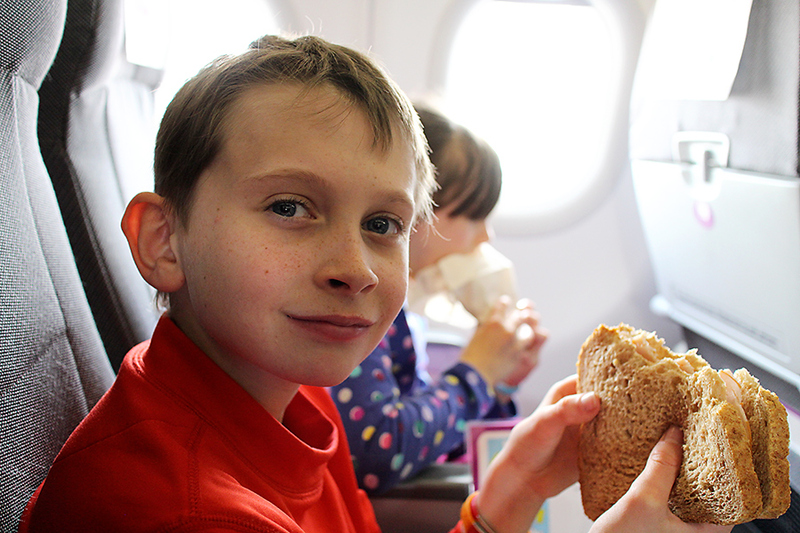 We made sandwiches on the plane for lunch. There was no bus this time, but we had to walk out on the tarmac and get on the plane. 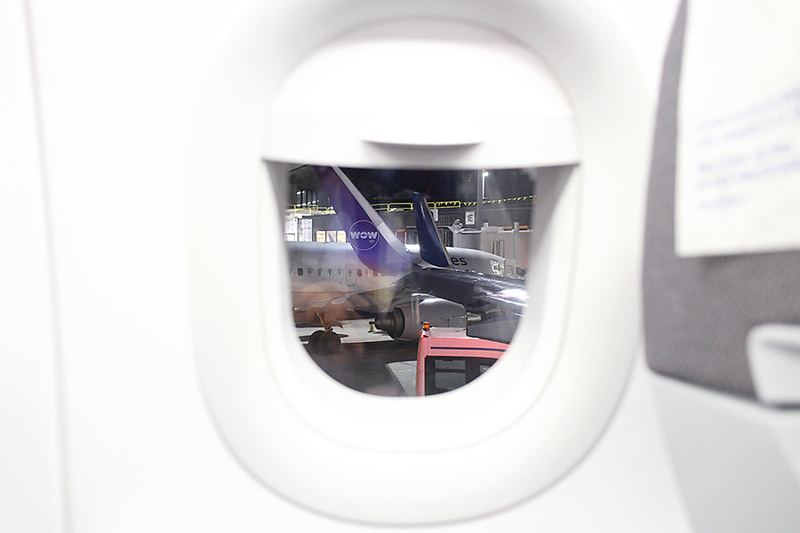 This did allow me to take some photos of the plane, which excited me! There were two sets of stairs, so we went to the one that was closet to our seats. Again, we were in the back of the plane. It was an identical plane to the ones we flew before. We noticed that all of the plane have call letters and each one was family based. There was DAD, MOM, SIS, BRO, SON, and probably some others. The flight was fine once we started. When we got to Iceland, there weren't any agents in the Customs booth. We stood in a huge line of people waiting to go through the Customs line to head back to the US. Finally, they opened it up and we were able to head to our next gate. When we got to that gate we discovered it should have been boarding....but it wasn't. Surprise, surprise. But this lateness just meant that my husband could fill up our water bottles and find food for us. He likes the interesting things. We got dried cod, charcoal crackers, some other kind of cracker, and juice boxes. 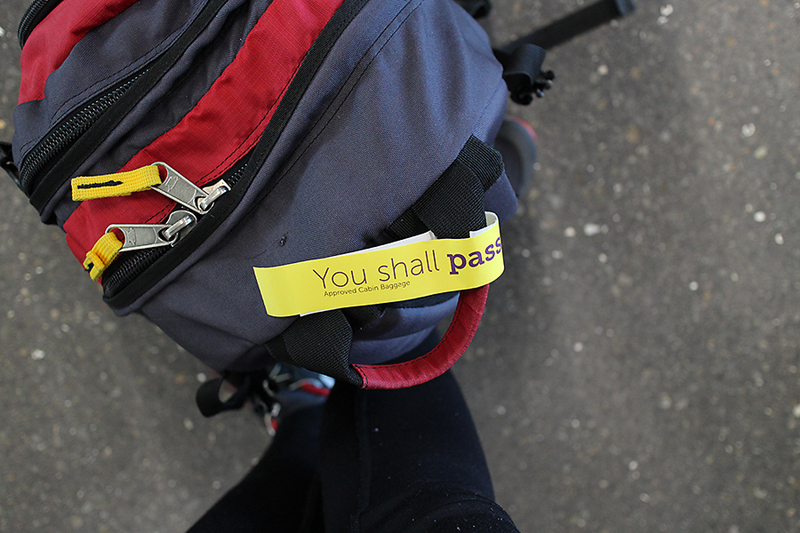 No worries about weight limits because our bags had already been weighed. 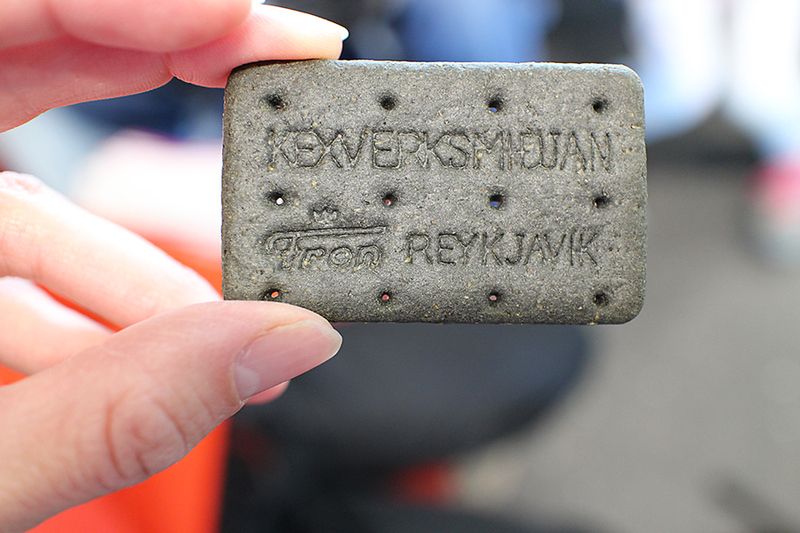 Reykjavik to Boston: We waited and waited and waited. Finally they started boarding, but things had to be changed up. Our original plane had "technical issues" so they found us another plane. This was an older plane that only flies in Europe (as far as we knew, it had never flown to the US), so seats had to be adjusted. We were suppose to have a similar seating assignment as our Boston to Keflavik leg, but it got all messed up. The exit rows were different, so my husband got moved from his Row 24 up to Row 1. While he did have leg room, he wasn't fond of the spot. 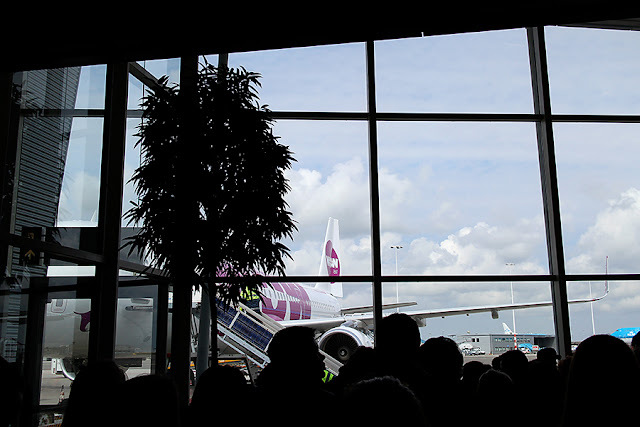 During the flight a lot of passengers congregated there and stood because of the room. There are apparently no rules about congregating in the front, like they have on a Southwest flight. It's annoying to have people chatting and standing right in front of you as you are in your seat. They're taking up the extra leg room that you paid for. The seats on this plane were narrower than the seats on the other planes we took, so the larger sized people complained about that. Instead of staying in their seats, they congregated up near the front of the plane. My husband was not too pleased with that. He made the long journey back to our seats a few times. We also got on a bus to be driven out to the plane. Thankfully this time we weren't trapped on the bus for a long period of time. There were no electrical plugs on this plane and only two bathrooms in the back. It wasn't as nice of plane as the others we were on, but at least they found us a plane to get us back to the US. Better to be safe than sorry. Would we fly WOW again? Probably. Yes, yes we would. If we got another good deal. I'm dreaming of a trip to Iceland in the future. I would just advise others to compare prices to Iceland Air (which gives you extras included with the cost) and other airlines. 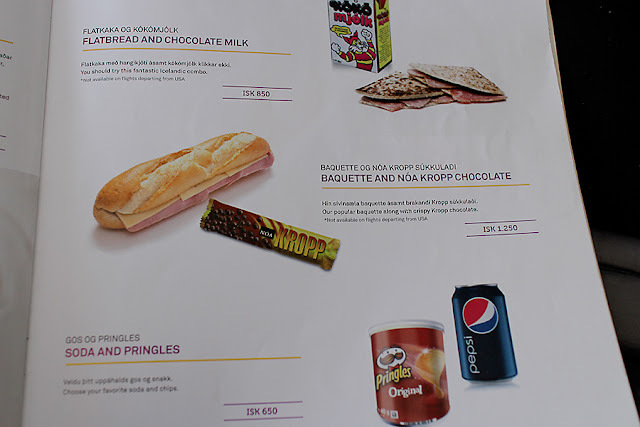 Remember that you will pay extra for each thing with WOW, flights may be late, and check-in is long. But if you get a good deal, it is totally worth it. Which makes me wonder, has anyone ever taken one of those Groupon Getaways that include airfare? Which airline do they fly? Now...we're dealing with the after effects of a fun time and flying on a plane. Germs. Fevers, sore throats, sneezing, and coughing are chugging through all of us like a train. So far, my husband is the only one to escape the plague of traveling. I guess that's a small price to pay for a trip filled with memories and time spend with family. And at least we weren't sick while we were there! 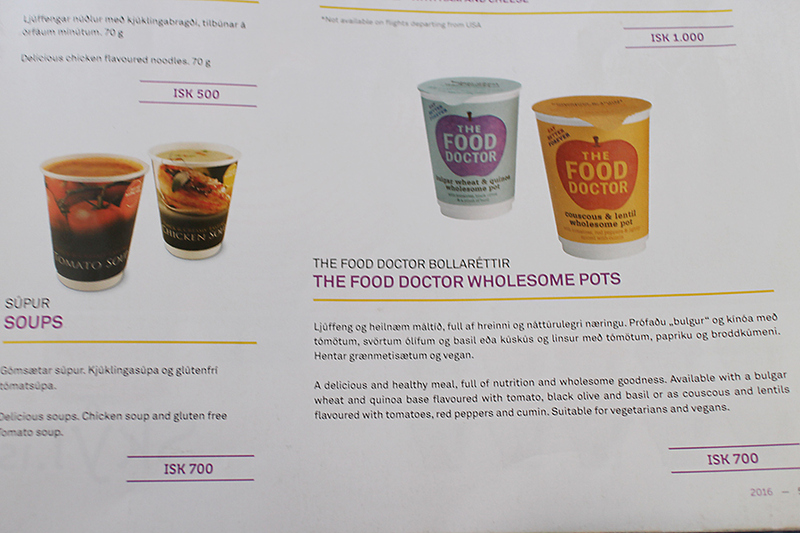 Thank you for the great reviews! 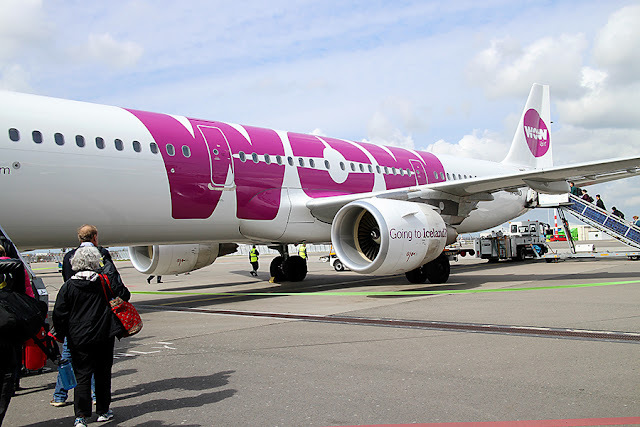 We're going to be traveling to Europe with WOW air, and I hope the price ends up being worth it! Some great tips here, thank you for being so thorough. Have a fun trip to Europe. I know that WOW is working on getting their "on time" issues fixed, so hopefully your flights will all be on time. I wouldn't hesitate to fly with them again. Enjoy! Just found this! Trying to figure out how flying WOW with a lap child would go. If it's even an option with them! Thanks for the thorough review. Not sure about the lap child, perhaps call the customer service. While it will save money (all for that!) it could be a long flight with a little one on your lap. Have a great trip and good luck booking tickets! I've heard that WOW has tried to improve things since we flew.